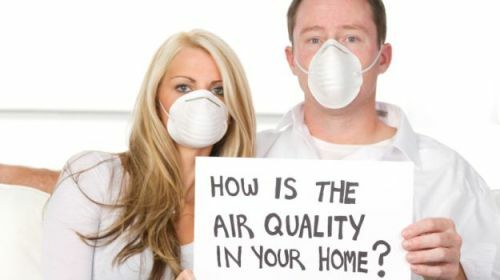 We often neglect our home when we talk about air pollution. It is always outdoors, roads, and the open space. We do not know the dangers that air pollution that happens indoors can cause. The air that we breathe inside our homes is not safe anymore. There are many things that spoil the quality of the indoor air. It might be the fire place, the tobacco smoke, smoke from cooking, heating appliances, moisture, pets and the wind that can cause the indoor air to become toxic. As we spend most of our time inside the house, it is sensible to keep the environment clean and toxin free. This is the most common air pollutants indoors. The cigarette smoke is very dangerous and can cause many respiratory problems as well as cancer. The residue of cigarette and its smoke will settle on the fabrics and carpets of the room to later enter your body along with air. This air is especially toxic to children. Thus, it is good to quit smoking. If any of your family members smoke, tell them that smoking inside the house is not allowed with the best interest of the family members. We think that the household cleaning supplies such as chemicals and liquids clean the floor and walls. But in reality they also do have dangerous effects on your lungs, nose, mouth and skin. These dangerous chemicals often cause asthma, inflammation, allergy and sinusitis. So, you can use natural cleaning supplies instead of the heavy chemicals. We think that the perfumes, scented candles and incense sticks will make the environment pleasant. But in reality they are irritants that can cause respiratory problems. So, try to use only naturally scented objects. Artificial odours should be not used often. We live in a country where cold temperature is never extreme. So, there is no need of a fire place. You can always use a heater when you cannot tolerate the cold. Avoid burning anything inside the house. The smoke is not good for the respiratory system. Every room must have good ventilation. Stagnant air is the main cause for mould, dirt and microbes development. This will also result in increased levels of carbon dioxide. Hence having an exhaust fan is good. Open up the windows and doors to let the free flow of air. Fresh air is always less lethal. Most of the time, the ventilation that you are getting is not enough. You will need more supply of fresh air. That is when you will need an air purifier. You can get many types of cheap air purifier that will clean the air that you inhale and will remove all the toxic elements in the air. They have been quite beneficial for all those who are suffering from asthma, allergies, heart problems and depression issues. These are some of the ways in which you can avoid the indoor air that you breathe to be healthy and pure, but one of the best ways of avoiding air pollution at home is by installing air purifier only, and these days, you can get air purifier India online too.